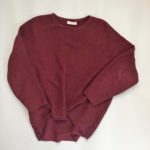 You might remember when I first started The Current Quarterly I used to share photos of what I was wearing – all of which was purchased at locally owned stores – in an attempt to show people that Cape Cod has a lot of great locally owned boutiques that offer on trend as well as classic styles. 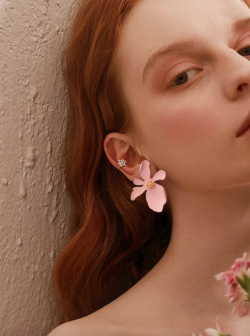 monthly blog post with a little commentary on the pieces I picked and put together. The center of this outfit is quite obviously the pants, which I found at One 21, a newly opened boutique in Mashpee Commons that stocks apparel and leather goods made in Italy. 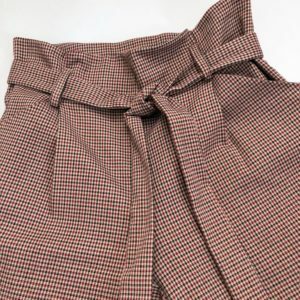 There are many eye-catching pieces in the boutique, but I have always been attracted to a great pair of trousers, and these with the paper bag waist and maroon and black houndstooth print made me fall in love with them the moment I saw them. 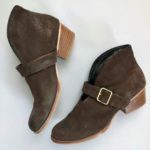 In addition to offering something new and fresh, I felt like they were versatile – I could wear them to work, for a night out with the girls or to Thanksgiving dinner (I have done all three). But an outfit is not an outfit without the complementary pieces and accessories to support the eye-catching piece. 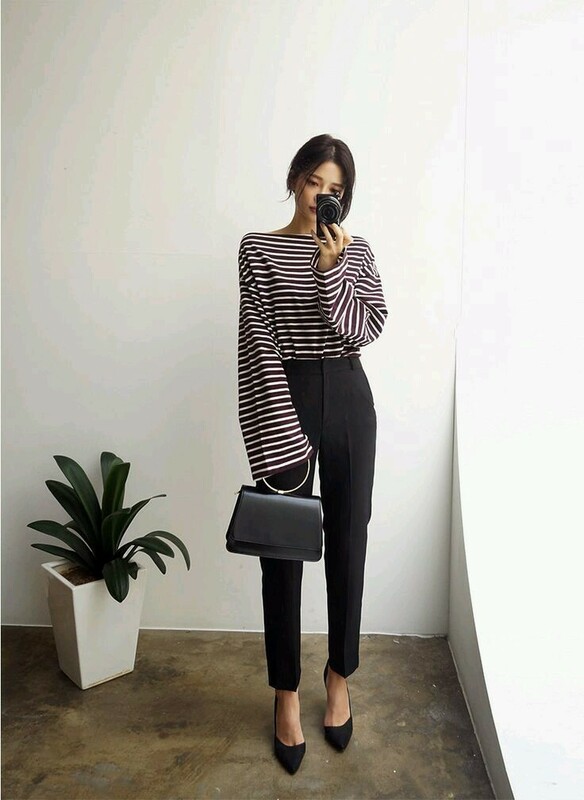 I am loving the baggy-sweater-tucked-in-just-at-the-front-of-pants look right now, and these pants with their waistline detail lent themselves well to that trend. 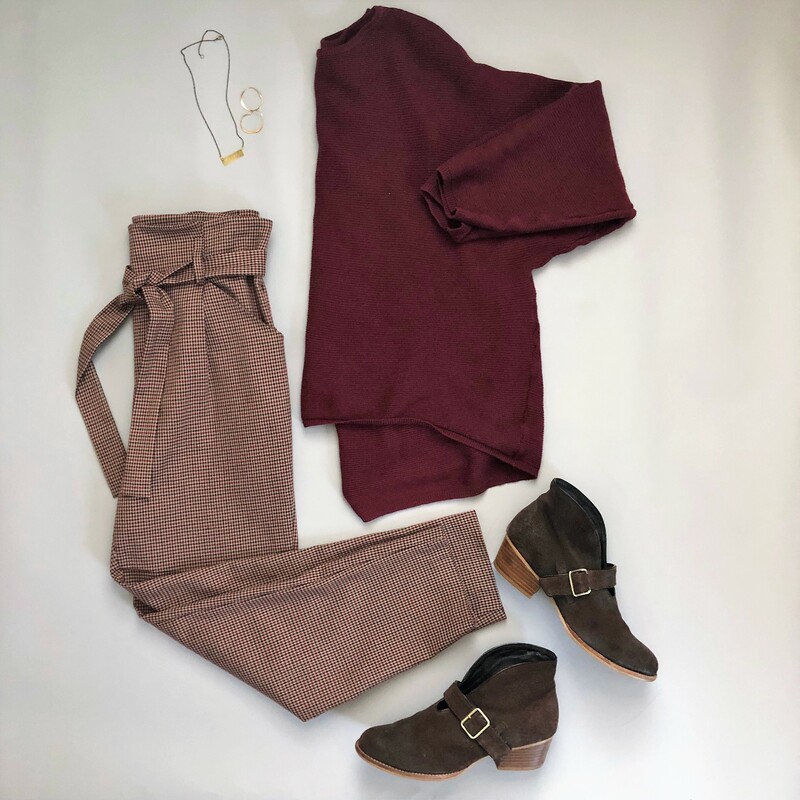 So, I pulled out my sweater of the season (in the same maroon color of the pants) from Shift, to achieve that look with this outfit. My long-ago purchased short booties from Mass Bay Co. worked well with the length of the pants. 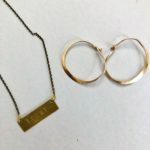 And I added little pops of gold with my go-to gold hoops from Red Fish Blue Fish, and my Trust bar necklace (with the word ‘local’ engraved in it) from the LoveLocal Collective in Hyannis. 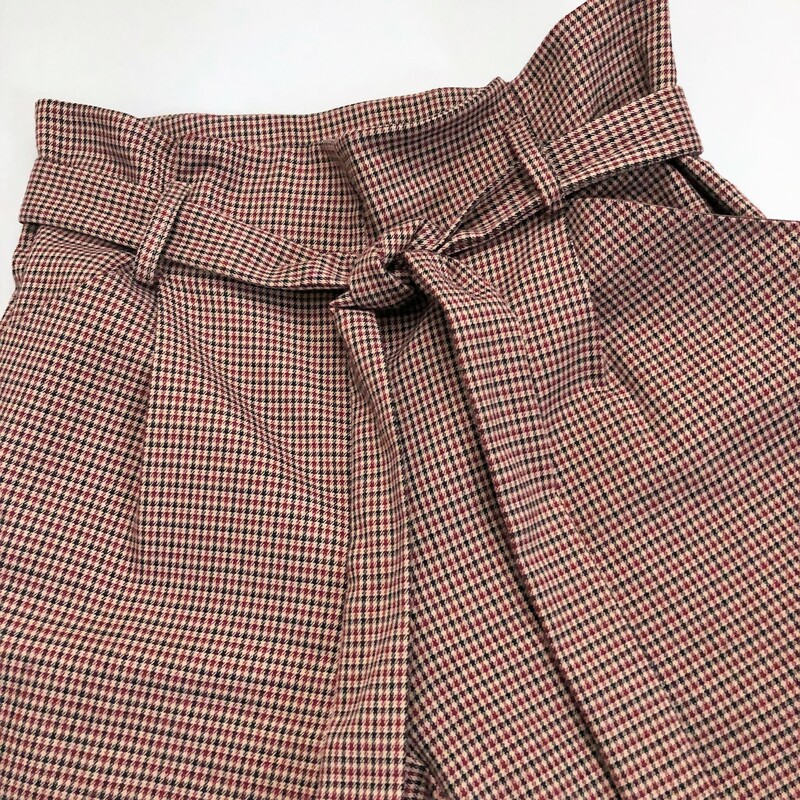 I’m curious – how you would have styled these pants? 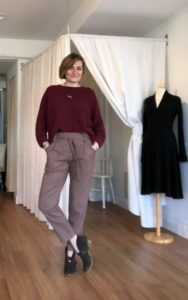 Amanda Converse is the Editor & Publisher of The Current Quarterly, and is passionate about fashion and shopping local. She can be reached at amanda@lovelocalmedia.com.